How to build this Spider Pinewood Derby car. It's as easy as ABC! 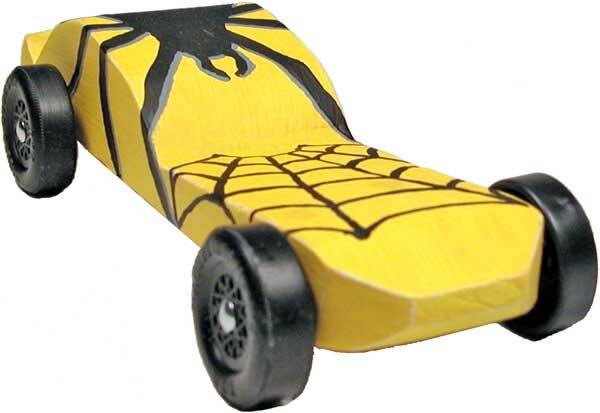 This Spider Pinewood car design includes templates and full building plans. The same design can be used to make a more conventional looking car. The Spider is designed so that only straight cuts are used. This means that you can use any wood saw - this Pinewood car is easy to make! All of our Pinewood Derby car designs include complete easy instructions for building your car including templates and the paint schemes shown here.